Experience and innovation for maximum reliability. 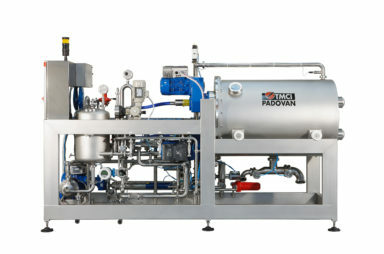 The Padovan division has always been dedicated to the production of equipment for wine production and winemaking plants and is particularly specialized in filtration and thermal exchange for must, wine and many other products such as: distillates, grape juice, oil, dairy, starch and sweeteners. Padovan division has always succeeded in proposing new ideas and solutions even in a mature sector such as the oenological one. Certain products undoubtedly represent a point of reference for the entire market, in every country in the world. Very few companies can boast the experience matured by Padovan from 1919 till today. Padovan adds to this the best Italian creativity, to conceive, design and realize customized solutions with respect to specific customer requests. Active since 1919 in the oenological sector. 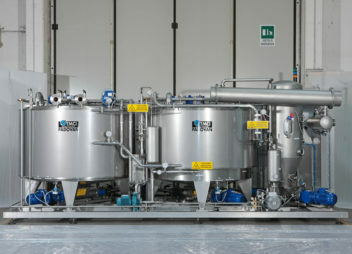 Since many years it deals also with other raw materials, with a huge range of solutions. TMCI Padovan – Company Leader Official Sponsor of the 74th Assoenologi National Congress, to be held in Matera from 31 October to 3 November 2019. Come and visit us in hall 6 at booth D25. 4 – 6 November 2018, Messe Stuttgart, Germany.